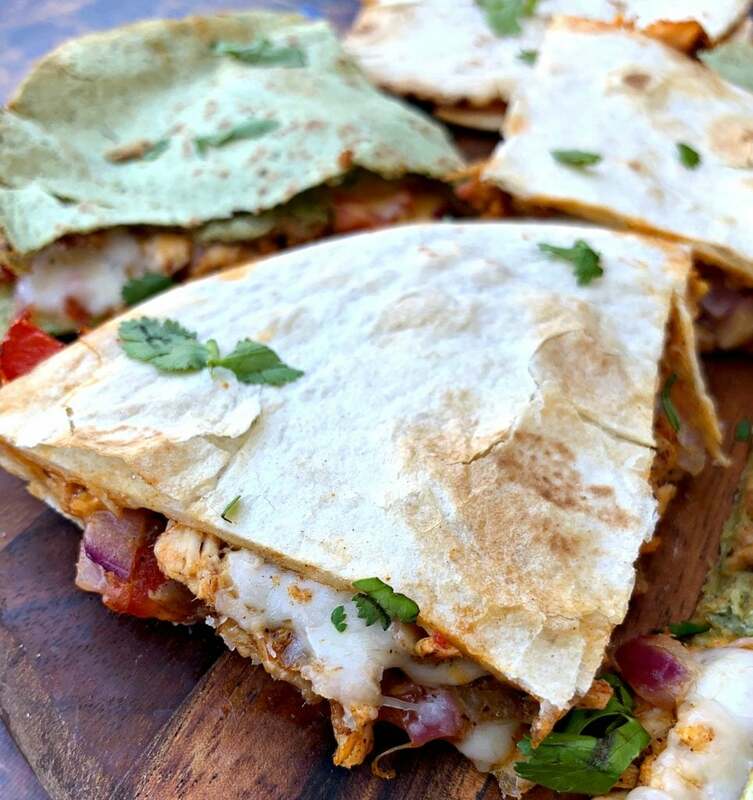 Easy Air Fryer Chicken and Cheese Taco Quesadillas is a quick, kid-friendly recipe. This post outlines how long to cook cheese quesadillas in the air fryer. This Mexican appetizer is loaded with rotisserie chicken, chili powder, cumin, and gooey melted cheese. This past week I got a craving for quesadillas. 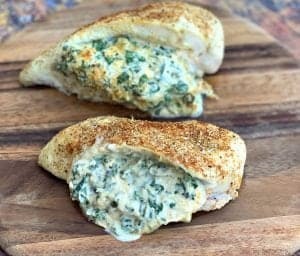 This craving led me to give my air fryer another run! 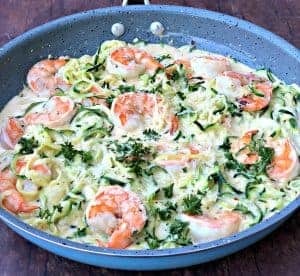 This dish is quick and easy to make. 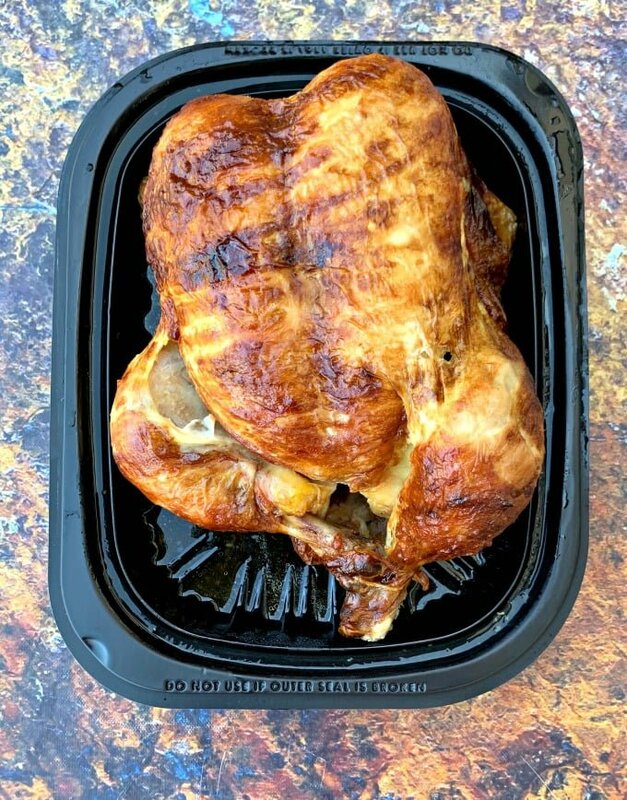 While grocery shopping at Costco I picked up a fully cooked rotisserie chicken for $5. 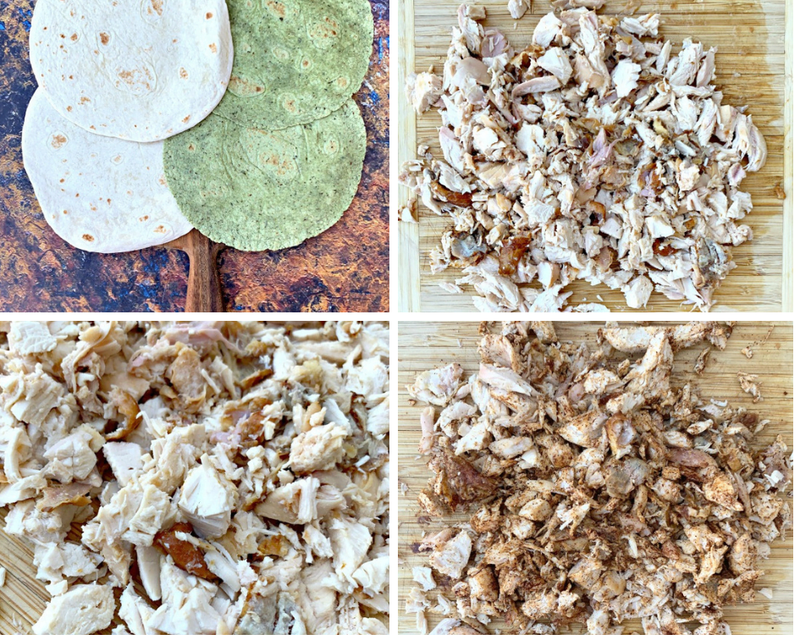 I shredded up some of the chicken for the quesadillas and saved the rest of the chicken for another meal. 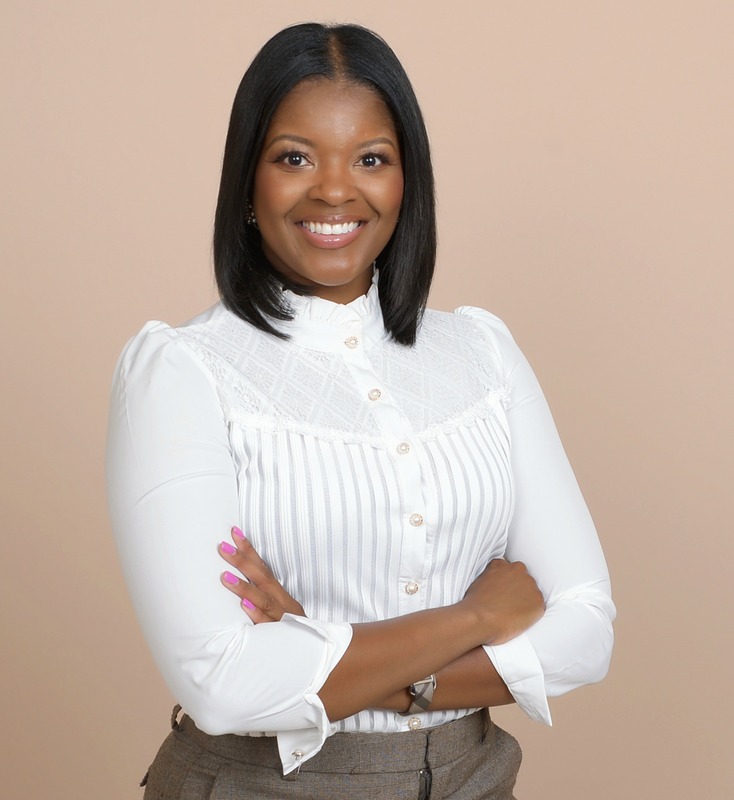 How Long Do You Cook Chicken and Cheese Quesadillas in the Air Fryer? I did 6 minutes total for this recipe. Add additional time if you want them to be extra crispy. 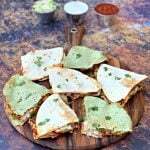 How Do You Make Air Fryer Chicken and Cheese Quesadillas? 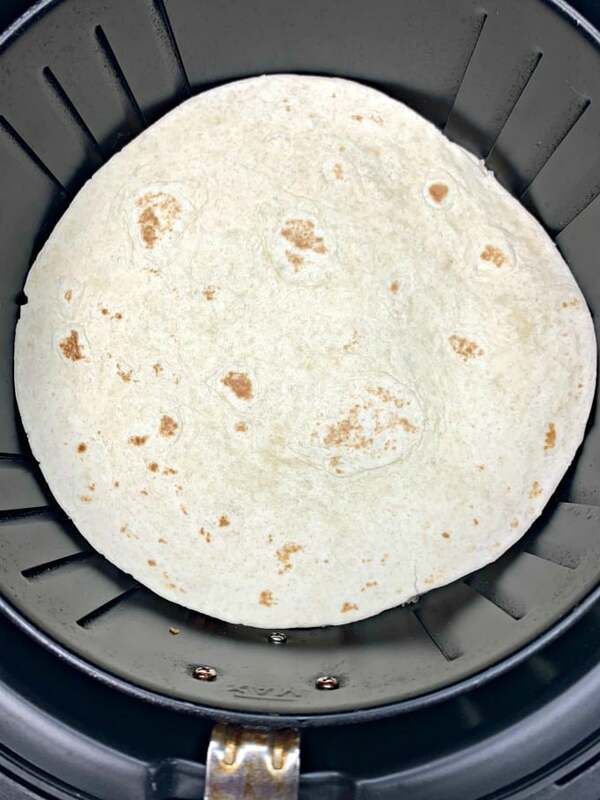 Load a tortilla in the air fryer. Load in vegetables and chicken. Top with another tortilla. Air fry for 6 minutes, flipping halfway through. Some air fryer brands will require a layer pan to hold down the tortilla to keep it from moving throughout the air fryer. How Long Do You Cook Frozen Quesadillas? 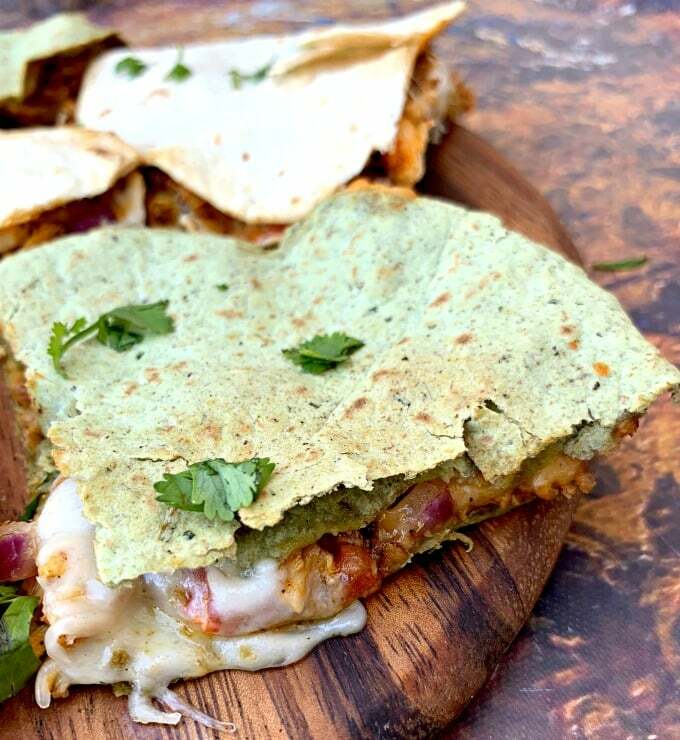 Frozen quesadillas will need 10-15 minutes of cook time. 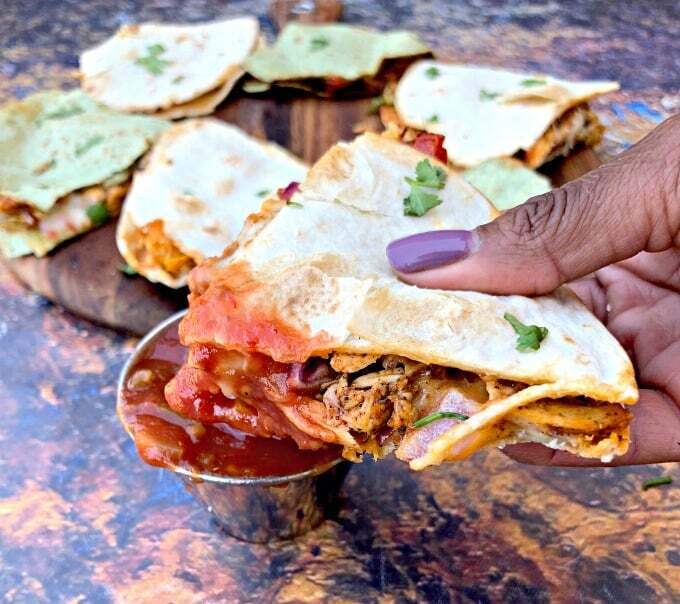 How Do You Store Air Fryer Quesadillas? Store them tightly sealed and in plastic bags. Reheat the quesadillas in the air fryer. 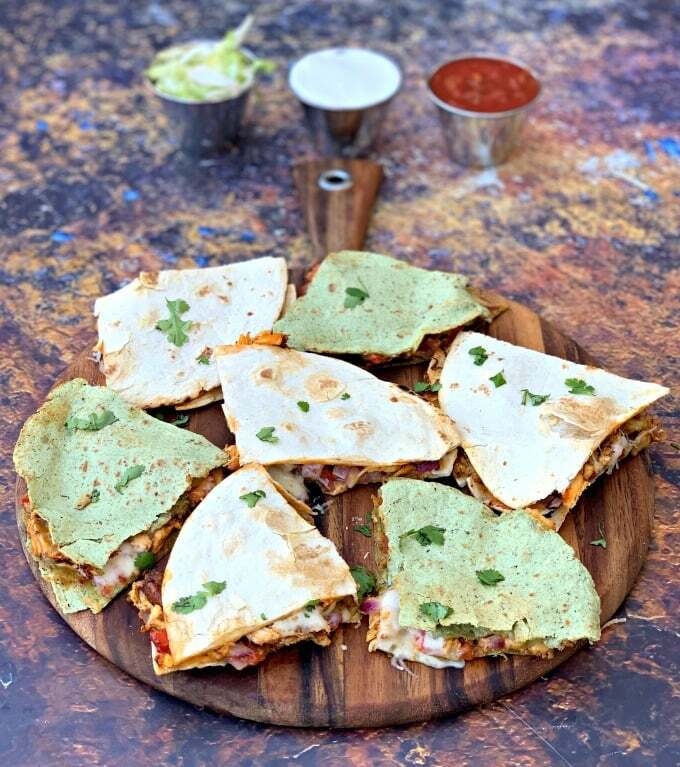 What Toppings Can Be Paired with Air Fryer Quesadillas? Sour cream, guacamole, salsa, lettuce, black olives, melted cheese, etc. There are so many options. 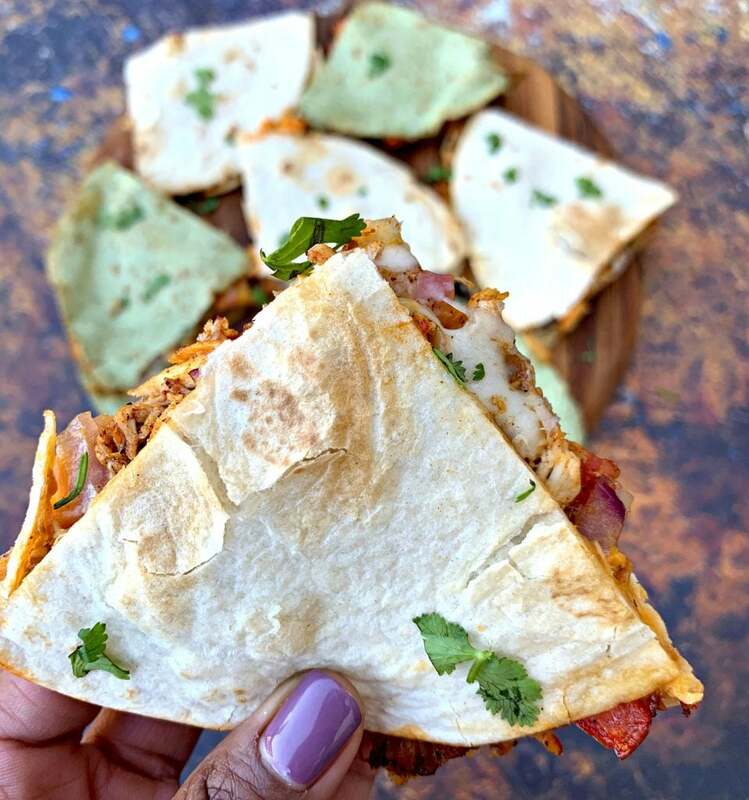 Easy Air Fryer Chicken and Cheese Taco Quesadillas is a quick, kid-friendly recipe. 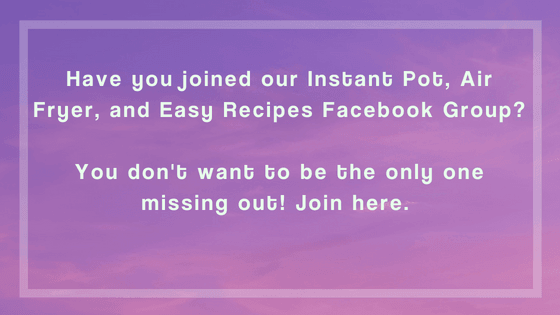 This post outlines how long to cook cheese quesadillas in the air fryer. This Mexican appetizer is loaded with rotisserie chicken, chili powder, cumin, and gooey cheese. I purchased a rotisserie chicken from Costco. Their chicken comes seasoned and is free of hormones and steroids. I shredded portions of the breast and legs. Season the chicken with the chili powder and cumin. If you aren’t using cooked rotisserie you will have to season the chicken with salt and pepper as well. I added the remaining ingredients in the following order: Onion, tomatoes, and then the chicken. Top with 1 additional tortilla. Cook for 3 minutes on 370 degrees. Open the air fryer and flip the quesadilla. I found the easiest way to do this, was to use a spatula and remove the quesadilla and place it on a plate. I flipped it on the plate and added it back to the air fryer. Cook for an additional 3 minutes. Use your judgment. You want to cook it long enough so that the cheese melts. 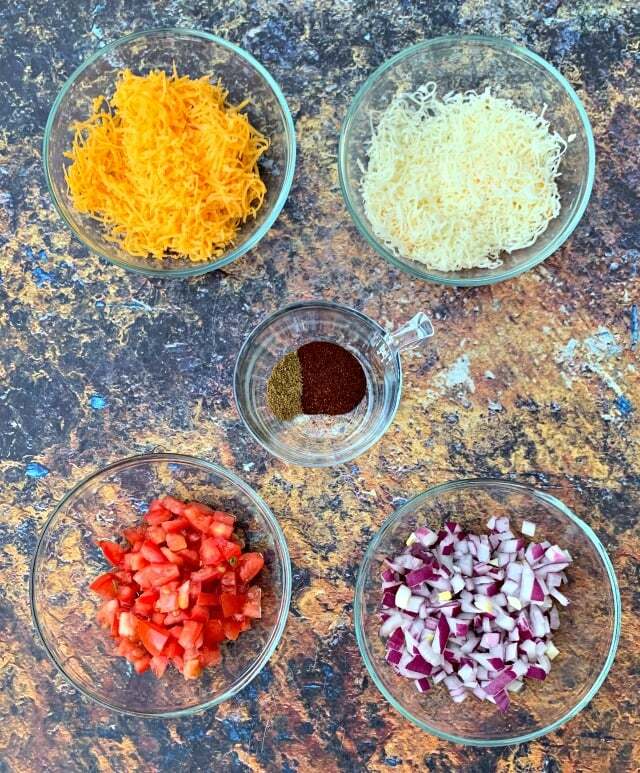 For crunchy quesadillas, cook them longer. Remove the quesadilla from the air fryer. Slice and serve. I have multiple air fryers and cooked both quesadillas at the same time using 2 air fryers. Because, I have multiple units I found different results with each. 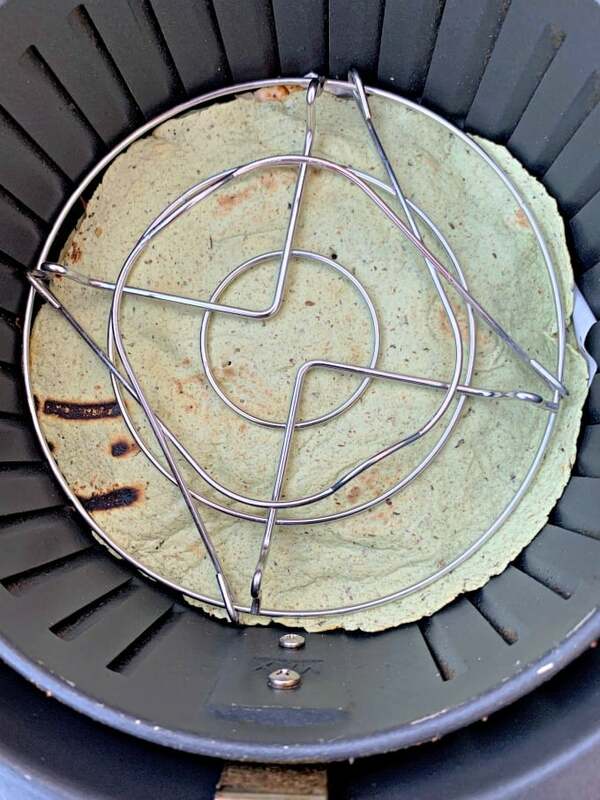 With the Power Air Fryer, I did not need an anchor for the top tortilla shell. With my Black + Decker, the top tortilla did fly around inside the air fryer, which is not safe. 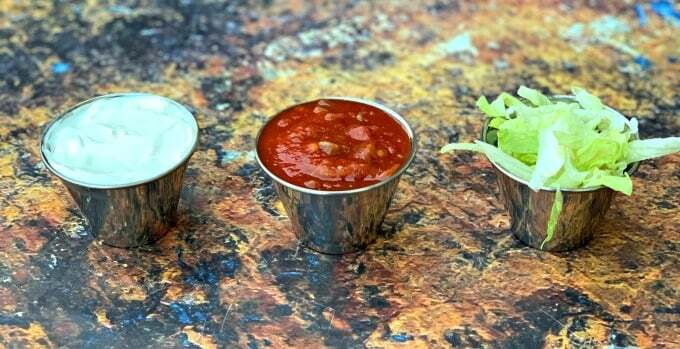 Use a layer pan to hold it in place. 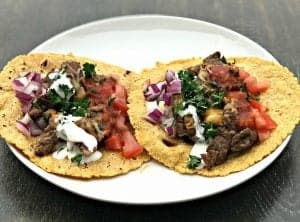 These were absolutely delicious, will definitely make again! 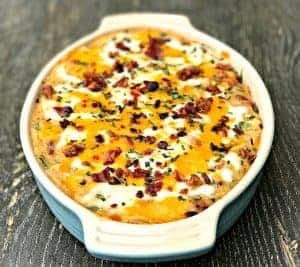 LOVE this easy dinner idea!